BECCA, bglowing, Featured, worth the hype? Products in this post were received as PR. As always, my opinions are mine alone. When the BECCA x Chrissy Tiegen Glow Face Palette launched it was all that I would see on social media, everyone seriously got in on the action of this face palette and there was a review on every YT channel. Not having too much experience with BECCA as a brand, besides a blush and two deluxe sized shimmering skin perfectors in Opal, which I love BTW, I wasn't sure if this was a palette for me. When the BECCA x Chrissy Tiegen Glow Face Palette came out and I saw that the shade selection was suited to medium-deeper skin tones, I was intrigued. I did purchase the Jacklyn Hill collaboration when it came out but found those shades didn't mesh with my skintone as well as I had wanted it to. The Chrissy Tiegen palette, is a totally different story. The BECCA x Chrissy Tiegen Glow Face Palette retails for $46, which isn't exactly cheap. Today I want to break it down for you and tell you if I think it's worth the hype & the splurge. The packaging of the BECCA x Chrissy Tiegen Glow Face Palette is absolutely beautiful, even I who am not usually a girly-girl find this packaging to be lovely. It feels weighty and luxurious and looks beautiful displayed in my makeup area. The amount of product contained in the BECCA x Chrissy Tiegen Glow Face Palette also makes it a value. One regular sized BECCA Skin Perfector Pressed contains .28 oz of product for $38. The BECCA x Chrissy Tiegen Glow Face Palette contains .53 oz of product, for $8 more you get almost double the product, while at the same time having 4 products to choose from in a gorgeous palette. I would definitely say that the value for the money is there. The most important part though has to be the products inside the BECCA x Chrissy Tiegen Glow Face Palette, are these as glorious as everyone says? After playing with this palette a few times and sharing with my daughter, I have to say that they definitely are. 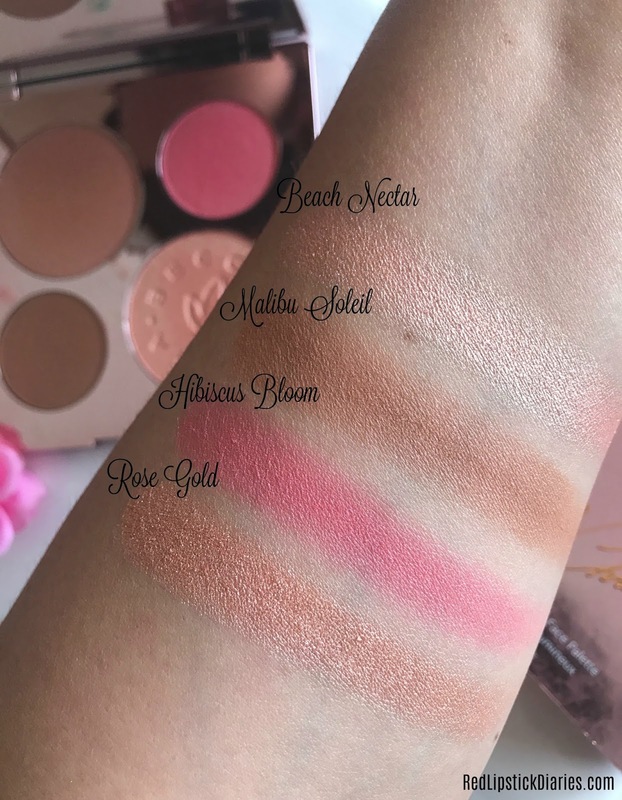 As you can see in the swatches below, both Rose Gold and Beach Nectar are gorgeous, my favorite being Beach Nectar. I'm not even into blinding highlighters but I find the BECCA formula to be easy to work with so I can create a highlight effect I am happy with. I was already a big fan of Opal in both pressed and poured version so I knew these would work well on my skin, but I really wasn't prepared for just how pretty Beach Nectar is. I think this is the shade that makes the entire palette worth while. At first I was a bit weary of Hibiscus Bloom because although it's super pretty, it's such a bright pink. I tend to be heavy handed with blush so I just have to be careful to go lightly when applying this since it is very pigmented, but the finished look on the cheeks is so summery and pretty. Malibu Soleil is a bronzer with a slight sheen (very light shimmer) that looks beautiful on the cheekbones. I love the extra glow it gives my skin while not being overly shimmery. If there is one complaint that I have about this palette is that I wish Malibu Soleil came in a large pan, instead of Rose Gold maybe? Bronzer is something most of us use with every makeup application and in my opinion, larger pan of it would have made more sense. However, besides wishing I had a larger pan of bronzer there is nothing else I can critique in this palette. 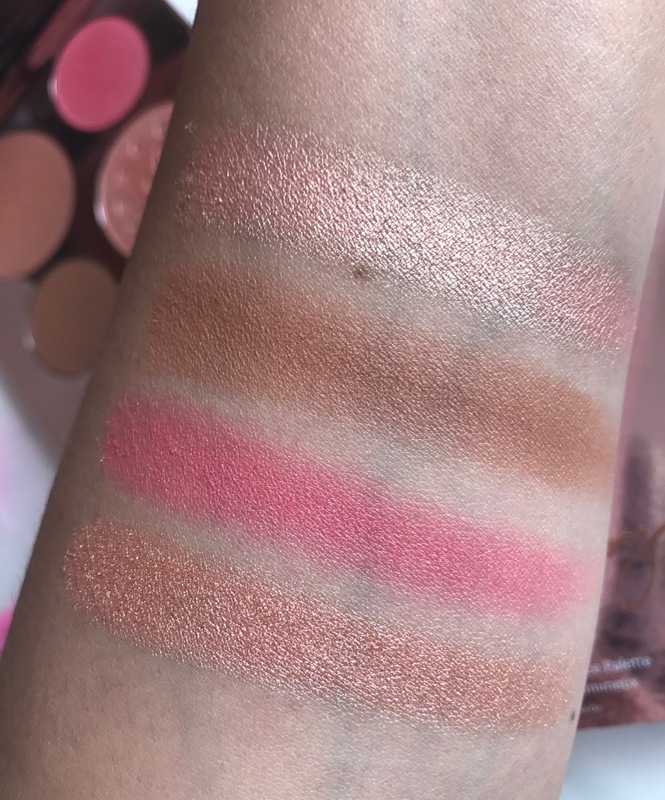 In fact, when I swatched it out for the first time on Instastories and Snapchat, I could not believe just how beautiful these products were in person. I had seen so many reviews raving about the entire palette, but was still so wowed on them the day of these swatches. In my opinion, the BECCA x Chrissy Tiegen Glow Face Palette is a must-have if you love pink, coral and peach shades. For me, this would be one of the top picks during the holidays because everything from the packaging to the products is just beautiful. As far as I know, this palette is Limited Edition so I don't know if it will last till then but if it does, it will go at the top of my list for gift giving. Purchase the BECCA x Chrissy Tiegen Glow Face Palette HERE. I want to thank b-glowing for sending me this palette, I rally am loving it. 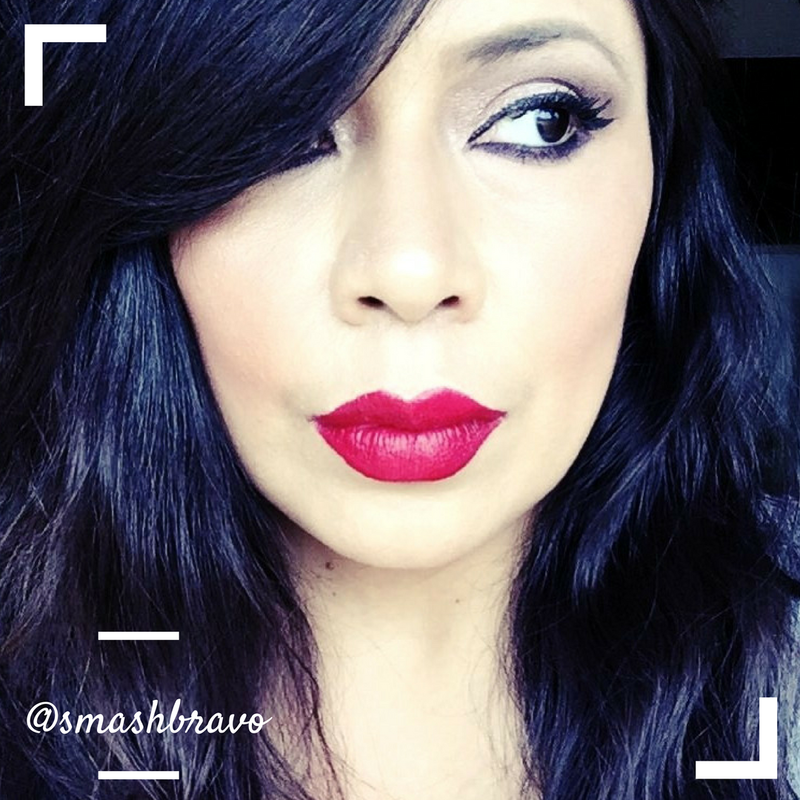 Make sure to visit b-glowing and check out all their site for your high-end beauty needs, I have seen that they have sales quite often which makes my shopping heart pretty happy. Is the BECCA x Chrissy Tiegen Glow Face Palette worth the hype?